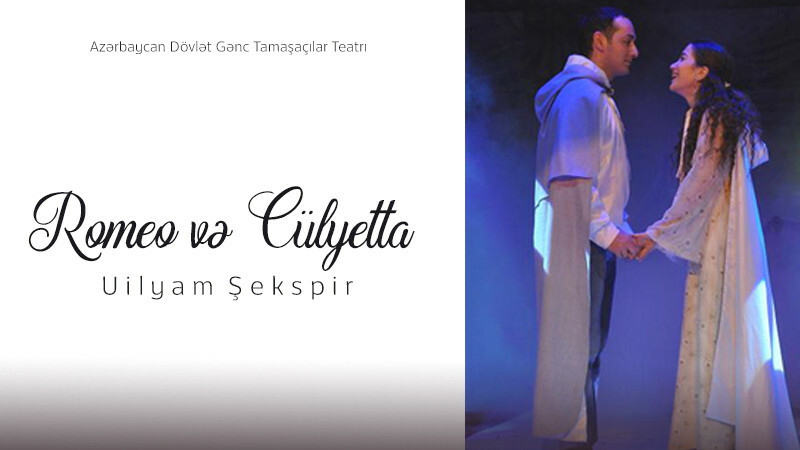 Romeo and Juliet in Azerbaijan State Youth Theatre of Young Spectators buy tickets online. Delivery of tickets for the event Romeo and Juliet. "Romeo and Juliet" (Love story) Age Limit: 16+ Author: William Shakespeare Acting director: People’s artist Jannat Salimova Starring: Elnur Karimov, Mirza Aga Mirzayev, Gunel Mammadova, Asya Atakishiyeva Genre: love story Duration of the performance: I part – 1 hour 5 min II part – 1 hour 5 min The "Romeo and Juliet" tragedy, devoted to the love of two young people, is topical in our days as well. This heartbreaking tragedy inspires pure love, fidelity, pure human emotions, and forms ideas in our contemporaries, especially young people. The play has interesting plastic dances, accompanied by beautiful musical drama.